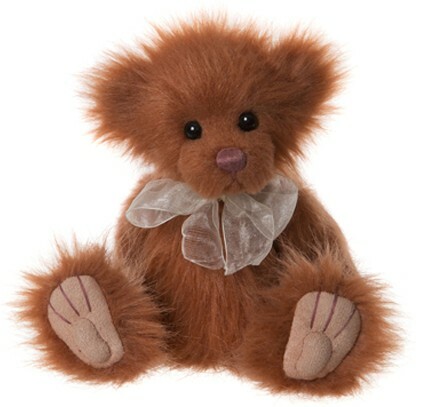 Corfe Bears > Charlie Bears > BUTTERSCOTCH 8"
Butterscotch is a little cutie and at only 8" (20cm) she is the smallest bear in the 2019 Plush Collection. She is made from long, fluffy ginger fur and the muzzle has been shaved to show off her dark sparkling eyes and reddish brown hand-stitch nose and mouth. Her paws are slightly sculpted, with stitched claws and she wears a lovely cream organza ribbon, which stands out nicely against the fur. She may be modest in size, but she has bags of personality and will be a great bear for anyone.